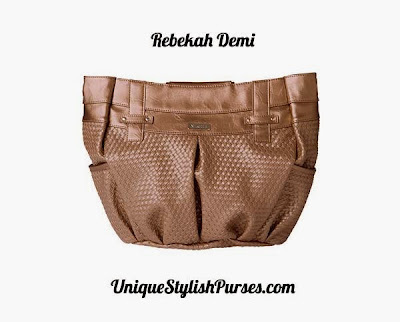 The Rebekah for Demi Miche bags will be the focal point of every outfit. Embossed woven faux leather with geometric accents and rivet details in brilliant metallic champagne features warm rosy undertones. This design is breathtaking and utterly unforgettable. Side pockets. Oval-bottom design.